I'm proud to announce that the eleventh volume in Airship 27's long running Sherlock Holmes, Consulting Detective series has just been released! Under a beautiful cover by Laura Givens, I have been privileged to join a trio of talented authors to help Doctor John Watson chronicle the latest cases of the Victorian Era's greatest sleuth. In "The Scotland Yard Murder" by I. A. Watson, a woman's remains are discovered at the construction site for the Yard's new headquarters. In "The Adventure of the Manhunting Marshal", Peter Basile teams Holmes and Watson with a lawman from America after a wanted criminal. 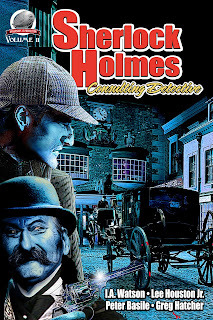 Holmes' fabled intellect is challenged by Greg Hatcher's "The Adventure of the Conundrum King" as a sadistic killer leaves baffling clues before committing his crimes. And in my story (and I'm honored to find it second in the volume), "The Adventure of the Artful Forger" finds Holmes and Watson discovering that the theft of a painting leads to a devious conspiracy. Each tale is accompanied with beautiful interior illustrations by Rob Davis. After all the hard work and long hours I put into creating "The Artful Forger", I will be the first to admit that it is difficult to craft an adventure worthy of one–if not the most important–of history's greatest detectives. Even Sir Arthur Conan Doyle himself took a lengthy sabbatical from the character when everyone believed Holmes to have perished during a final showdown against Professor James Moriarty at the Reichenbach Falls in "The Final Problem". But like Doyle I will return, for working with Holmes and Watson, along with Airship 27 founders Ron Fortier and Rob Davis, is a whole lot of fun too! 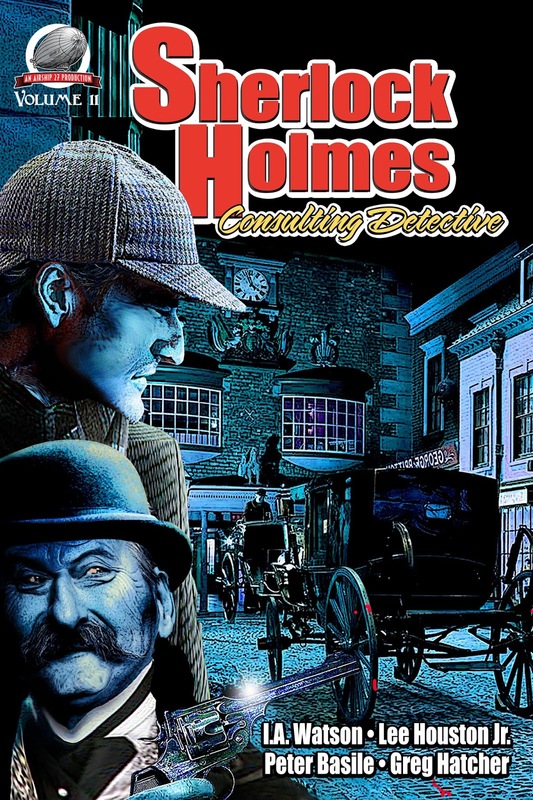 Sherlock Holmes, Consulting Detective Volume 11 is currently available in print, with other formats pending, via Amazon.